Aaron Hines (ASCAP) is originally from the Sacramento area where his dedication to the percussion arts began as a member of the award-winning Sacramento High School percussion ensemble. After developing his skills throughout high school, Aaron became an important part of the California State University, Sacramento Winter Percussion Ensemble from 1997-2001. For over 20 years Aaron has taught, arranged, and designed for numerous schools, ranging from the middle school to collegiate level while keeping an active clinician and adjudication schedule. Over 35 of Aaron's ensembles have earned circuit and state titles as well as Medals, Fans' Favorite Awards, and Finalist appearances at the WGI World Championships. In addition, Aaron designs independently for schools across the country and has published works through Dave Glyde Show Designs, Gary P. Gilroy Publications (Best-Sellers 2010, 2012, 2013, 2014, 2015), Key Poulan Music, Creative Solutions, Jair Klarfeld Music, & JW Pepper. He is also an active member of the Percussive Arts Society. In 2007, Aaron was one of the founders of eNVision Performing Arts in Reno, NV. eNVision has hosted numerous arts-based events and entertained the local communities at hundreds of performances. Their indoor program was a national top-10 finalist 6 times while voted the nations favorite ensemble (by the fans) in 2011 and 2012. They also won 8 regional championships. 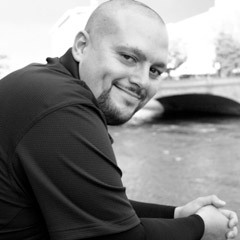 For Aaron's work with eNVision he was a 2011 Twenty Under 40 Award winner for the Northern Nevada Region. Aaron was also the Director of NorCal Indoor from Sacramento, CA. Under the eNVision umbrella, NCI was a WGI Open-class finalist in 2017. Currently, Aaron is the Program Coordinator and Percussion Manager for Reed High School in Sparks, NV, the Program Coordinator for Sac State Indoor in Sacramento, CA, serves as a board member for the Northern California Percussion Alliance (NCPA), is the Northern Nevada Indoor Association (NNIA) founder and coordinator, and has been a percussion arranger and consultant for the University of Nevada, Reno since 2005. He is also an Endorsed Artist with Evans Drumheads, Innovative Percussion Sticks/Mallets, Sabian Cymbals, & the Yamaha Corporation. He enjoys spending his free time playing softball and with his wife Kimberly, daughter Sonya, and son Vincent.